Hyundai cars are well-known for being reliable cars that provide superior fuel economy. If you are in the market for a pre-owned vehicle, Hyundai now offers a pre-owned vehicle certification program. This program lets you have the confidence that the car you are purchasing is of high-quality and will last. One of the great features of the certified pre-owned program from Hyundai is that each vehicle receives a thorough inspection. Only vehicles that pass a 150-point inspection are allowed to be offered as a certified car. Each car in the program also comes with a CarFax report. This lets you know the history of the vehicle. You can see how many have owned the vehicle and if it has been in an accident in the past. 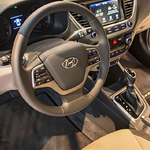 Come to our Wayne Hyundai dealership to test drive a Hyundai certified vehicle. There are many to choose from, and the sales staff will be happy to assist you.